Jeep Front Axle Bracket Coil Bucket 2.75 Inch Small Stretch Jeep XJ/TJ/LJ/ZJ/MJ TNT Customs. Jeep Front Axle Bracket Coil Bucket, Stretch Jeep XJ, TJ, ZJ,MJ TNT Customs for narrow axles. Weld on front stretch coil buckets for TJs, XJs, ZJs, MJs, and LJs, to match your build. 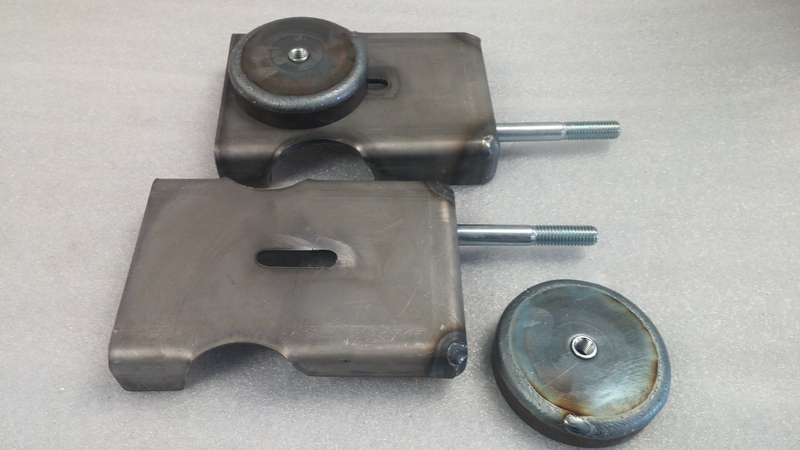 These mounts allow you to move your front axle forward 1.5-3 inches forward. Built in shock mounts. Put the coil spring where you want it with weld on coil cups.